The Centre and states have completed the drafting of model Goods and Services Tax law as well as an integrated-GST or iGST law, which will be put up in public domain by early November. According to a government official, the Empowered Committee of state finance ministers is likely to meet this month to discuss the legislations — CGST, SGST and iGST. 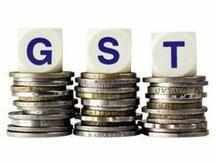 “The model GST law and iGST law has been circulated among the states. The Empowered Committee would meet soon to discuss them,” a senior official said. The Central GST (CGST) will be framed based on the model GST law. Also the states will draft their own State GST (SGST) based on the draft model law with minor variation incorporating state based exemption. “Trade and Industry should also be a part of the law because ultimately they would pay the tax. Hence their views are essential. The drafts will be put up on website by first week of November,” the official added. The drafts of the proposed legislations are based on three principles — definitional clarity, certainty in assessment and promoting ease of doing business, the official said. Although the government had planned to roll out the GST, which is touted as the most comprehensive indirect tax reform since Independence, from April 1, 2016, it seems difficult in view as the Constitution Amendment Bill is stuck in the Rajya Sabha where the ruling NDA does not have a majority. The government, however, is going ahead with the preparatory work necessary for smooth implementation of the GST, which will subsume various levies like excise, service tax, sales tax, octroi, etc, and will ensure a single indirect tax regime for the entire country. The government has already put up three reports of empowered committee on GST on refunds, payment process and registration for public comments by October 31. The date for next meeting of the empowered committee has not been finalised yet. It was scheduled to meet last month but the meeting was deferred.